Thank you for visiting our Cebu branch during Father's Day Celebration! Congrats to all dads who got their limited edition shirts. Thank you for visiting our Subic branch during Father's Day Celebration! Congrats to all dads who got their limited edition shirts. 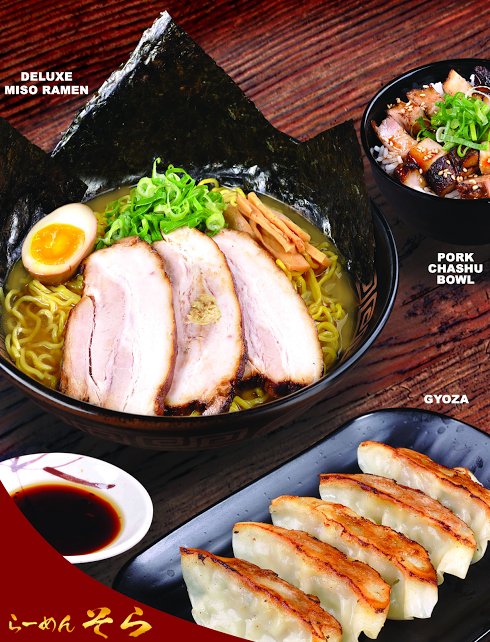 The Ramen Sora, (Japan's best tasting noodle) , that we used to love in Waterfront Subic has its second branch opening on March 26, 2015 at AS Fortuna in Cebu. Cebuanos should rejoice because the best tasting legit ramen has come to conquer their tastebuds. Ramen Sora (Sora meaning "sky") is from Sapporo in Hokkaido, the go-to district for those who want to indulge in the best of Japanese food. Chef Yoshi Ishise the man behind the restaurant's best-tasting ramen explains: Ramen is one of Japan's staple dishes just like rice to Filipinos. We could not live without ramen. At Ramen Sora we put our heart and soul into preparing dishes because we want to make our customers happy. Isn't happiness life's ultimate goal? 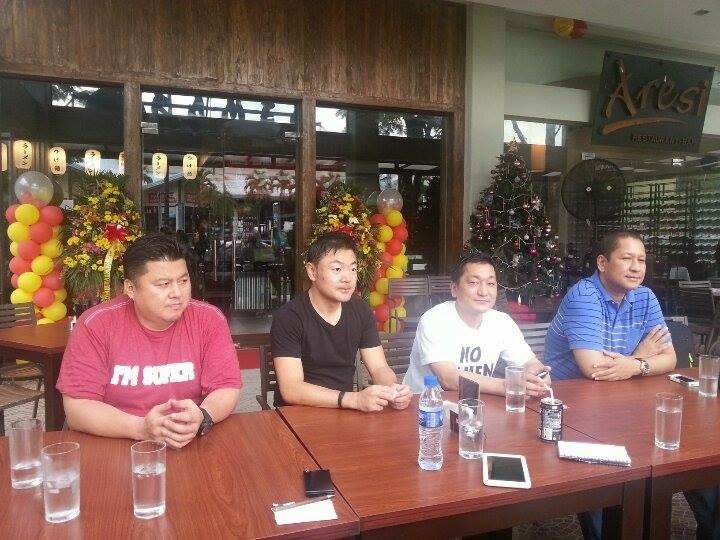 Chefs Yoshi, Ishise, Tomio Hakada and Nori Suzuki, have partnered with Gerry's Grill founder Gerry Apolinario for Ramen Sora. Its first branch in the Philippines opened in Subic last December. Taking no shortcuts, Ramen Sora uses traditional methods of preparing ramen. 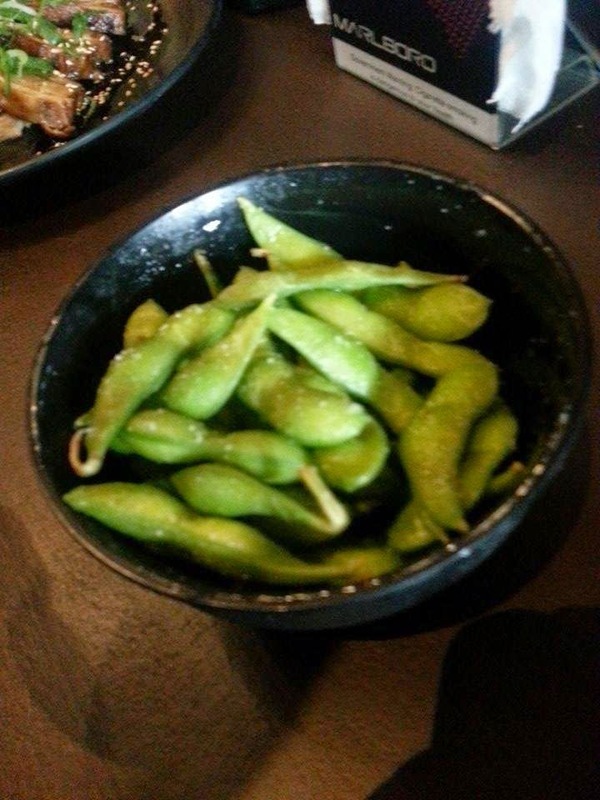 Its Miso base goes with only the best and the freshest ingredients. "We offer everything authentic!" 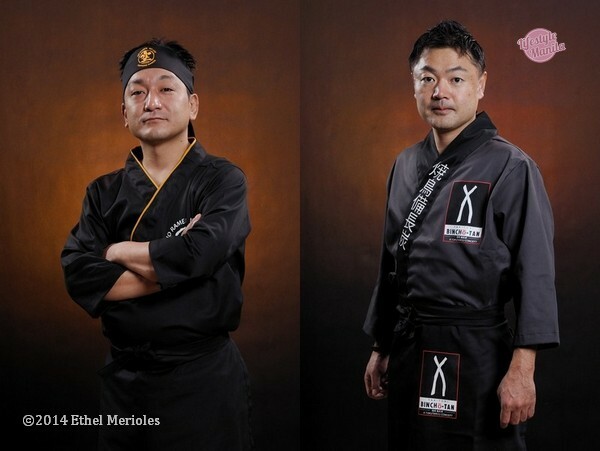 adds Chef Yoshi, who is also a sushi chef and the owner-operator of Sushi Twister in Las Vegas. Chef Yoshi along with his team of Filipino chefs and partners from Prime Pacific Grill, Inc. (PPGI), operator of Gerry's guarantee that they will 'transport' Pinoys to Sapporo to enjoy the best ramen they will ever taste from Ramen Sora! Meantime, Ramen Sora's fitting companion Yakitori Binchotan which will soon open beside Ramen Sora enjoins guests to taste their scrumptious servings of Yakitori. Yakitori Binchotan's recipes were passed on to Chef Nori by his grandfather who used to prepare them for his family during special occasions. Chef Nori opened Yakitori Binchotan in Hokkaido, where he grew up, serving dishes using his grandfather's secret sauce, and grilled using Binchotan, a special kind of charcoal found only in Japan that brings out the taste of the skewered delight, usually chicken. "Binchotan packs so much heat and does not emit smoke, which allows the full flavor of the food to come out. The high heat from Binchotan helps to properly sear the meat keeping it juicy on the inside," says Apolinario. Yakitori isn't as simple as putting meat or vegetable on a stick and grilling them. "There is so much discipline required in preparing this dish. The smell, the aroma of skewered dishes, and ultimately the taste makes all the difference," adds Chef Nori. Soon to open its maiden branch along AS Fortuna in Cebu Yakitori Binchotan is set to bring life to diners' tables with original dishes enjoyed in Hokkaido, the heart of Japan's culinary center. Gerry's other brother brands are Gerry's Grill Plus, Kusina ng Gerry's and Thai restaurant Sweet Chili. Gerry's has recently celebrated its 18th anniversary and is soon to open in more locations this year including Aseana in Paranaque and Megamall in Pasig City. Enjoy Five-Star Authentic Japanese Ramen At Ramen Sora! With summer on the horizon, chances are high that you'll be visiting Subic soon. While the beaches in Zambales are our primary destination, there's one place we'd like to check out though when we go there this year: Ramen Sora, a Japanese restaurant known as one of the best in Sapporo in Japan. Located at the Waterfront Road in Subic, Ramen Sora lives up to its name with its authentic ramen dishes along with Japanese signatures gyoza, chashu, karaage, and tempura. "Sora" is the Japanese term for "sky" (and also the name of our favorite hero from Kingdom Hearts) which basically means that Ramen Sora is ramen from the heavens itself. Considered as Japan's culinary center, Sapporo is where you'd go for those who want to treat their palates to the best that Japanese food has to offer. And Ramen Sora happens to be one of the best in the area. Their motto: "No Ramen No Life." That's one mouthwatering bowl of Japanese noodles right there. Chef Yoshinari Ichise, the man behind the resto, explains that ramen is to Japan as rice is to Filipinos: "We [the Japanese] could not live without ramen. At Ramen Sora, we put our heart and soul into preparing dishes because we want to make our customers happy. Isn't happiness life's ultimate goal?" 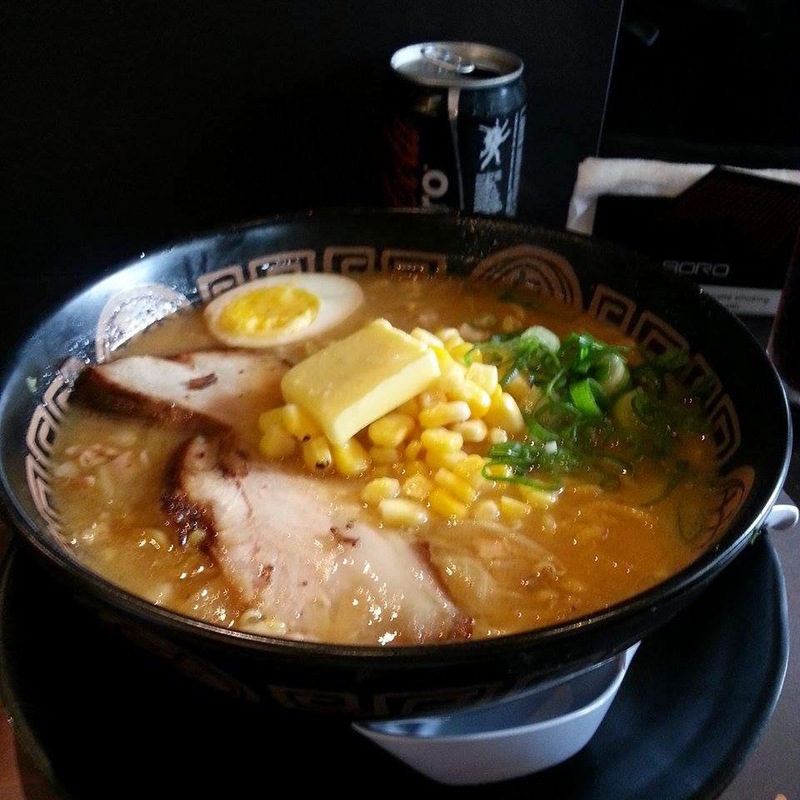 The Subic branch is the first in the Philippines, and has been established here three years after they put up the first overseas Ramen Sora branch in Las Vegas, Nevada. The restaurant was a hit over there, garnering a 4.5/5 rating from travel site . We're lucky that we now don't need an excuse to gamble at Nevada or save up for Japan just to visit the authentic ramen restaurant. Pack your bags, fellas; this Subic good-food-spot is a trip worth making! 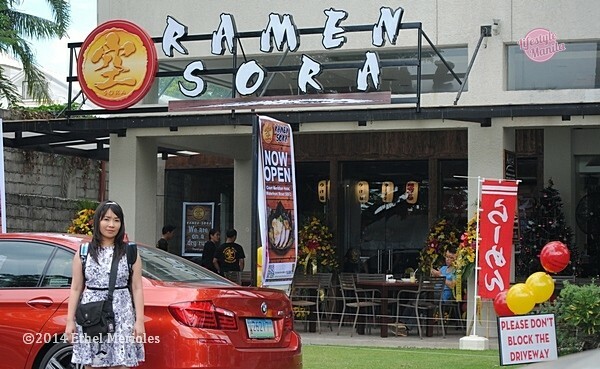 Ramen Sora is operated by Prime Pacific Grill, Inc. of Gerry's Grill fame. 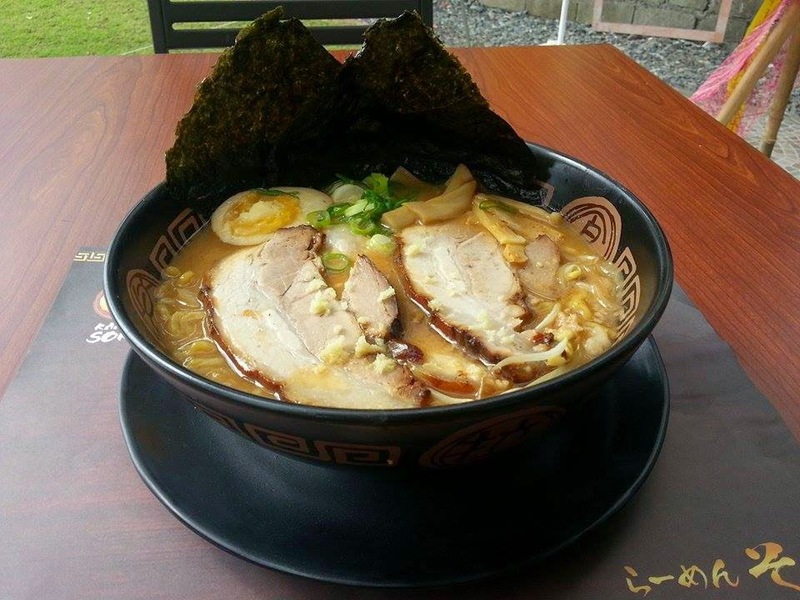 Located along Waterfront Road at the Subic Freeport Zone, Ramen Sora adds its own distinct flavors to the growing list of food spots in Subic. With branches in Japan, Australia and Las Vegas, Ramen Sora's Subic branch represents the brand's initial foray into the local market. Gerry Apolinario recalls the countless times he visited Ramen Sora in Japan and Las Vegas, and knowing the local market was ready for another authentic ramen experience. In a collaborative project with Ramen Sora's founders, Gerry Apolinario finally brings the authentic taste of Sapporo-style ramen with the opening of their first branch. My Ramen Sora experience begins with the house specialty, the Miso Deluxe Ramen, made from the original miso sauce popularized by Ramen Sora in Japan. The miso broth's flavors are bold and upfront, something you'd expect from broth made with authentic miso and premium black pork boiled for nearly a day. The noodles have a firm consistency, adding a distinct bite. Bits of fresh garlic and some bean sprouts add both flavor and texture to the broth. Topped with Ramen Sora's signature chashu pork, menma (bamboo shoots) and aji tamago, this one's definitely another serious contender in the local ramen wars. Ramen Sora's Shio Deluxe Ramen, with a rich and sharp salt-based broth topped with the Chasu pork, aji tamago, and menma is another popular variant. The robust flavors of the broth complement the delicate notes of the pork, and the aji tamago adds to the overall richness of the the dish. Nori Shoyu Ramen, topped with more nori, in a light soy sauce based broth, rounds out my ramen experience at Ramen Sora. Ramen Sora also offers other ramen variants, including Corn Butter Ramen and Menma Ramen. 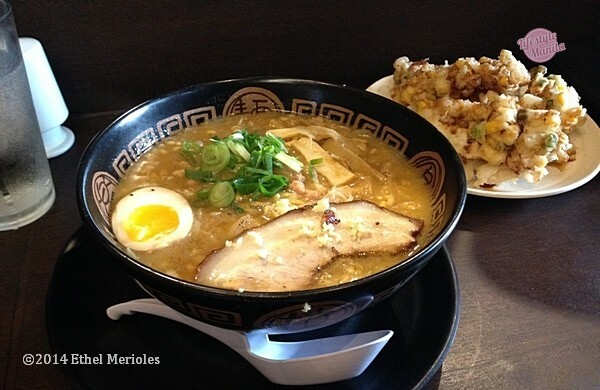 Gerry Apolinario had one goal, to bring authentic flavors, and he succeeds with Ramen Sora. Bold, rich and sharp flavors are what you can expect at Ramen Sora. If you can't get enough of Ramen Sora's Chashu Pork, no worries. Pair your ramen dish with Ramen Sora's Seared Premium Pork Chashu, topped with scallions with a side of aji-tamago. 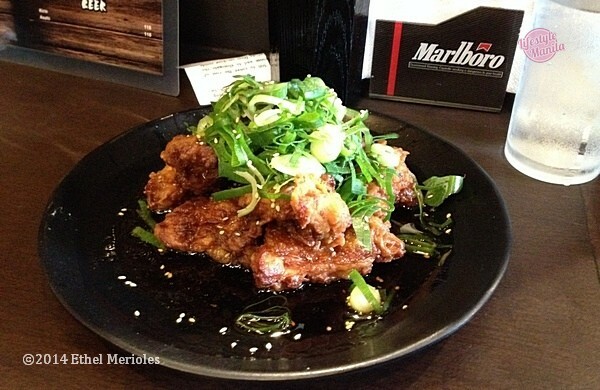 ...and the Chicken Karaage, deep-fried chicken thighs, with a sweet yet sharp glaze, and both pair well with your ramen. Ramen Sora is set to open its second branch in Cebu, and you'll definitely hear more from Ramen Sora soon. But Gerry Apolinario isn't quite done yet, with a yakitori restaurant in another joint venture with Tomiyo Takada, Yoshi Ishisen, and Norio Suzuki in the works. The food scene at Subic Freeport Zone just leveled up with authentic flavors. Gerry Apolinario and Prime Pacific Grill, Inc. (PPGI) inject new life and new flavors in Subic with the introduction of Ramen Sora, and I can't wait to go back... Ramen Sora is located at Waterfront Road, beside Court Meridian Hotel & Suites, Central Business District, Subic Bay Freeport Zone. Dude for Food is now on Facebook, check out the FB Page for regular updates on good eats. Better yet, click "Like" and enjoy the ride...just look for the FB "Like" widget on the right sidebar. 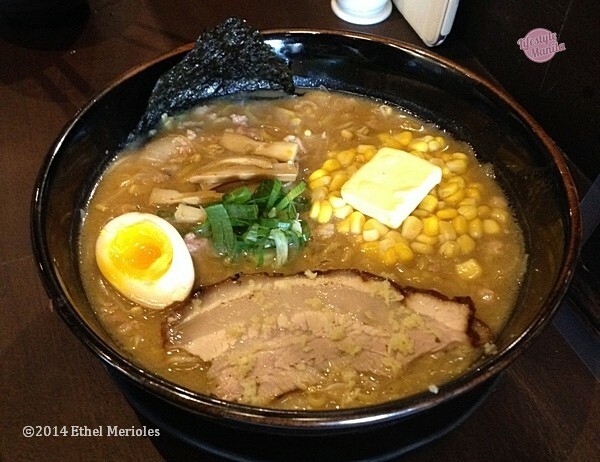 Ramen Sora, Subic is the second branch located overseas after Las Vegas, Nevada, U.S.A. This Japanese restaurant in Nevada boasts of a 5-star rating at travel website, tripadvisor.com. Ramen Sora was born in 2003 in Sapporo, Japan. Sapporo is Japan’s culinary center and is often considered the go-to district for those who want to indulge in the best Japanese foods. 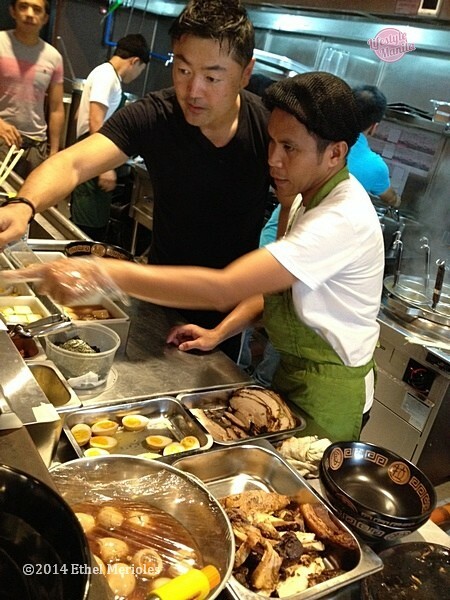 Chef Yoshi Ishise is one of the executives who brought Ramen Sora to the Philippines. He explains that “Ramen is one of Japan’s staple dishes just like rice is to Filipinos. 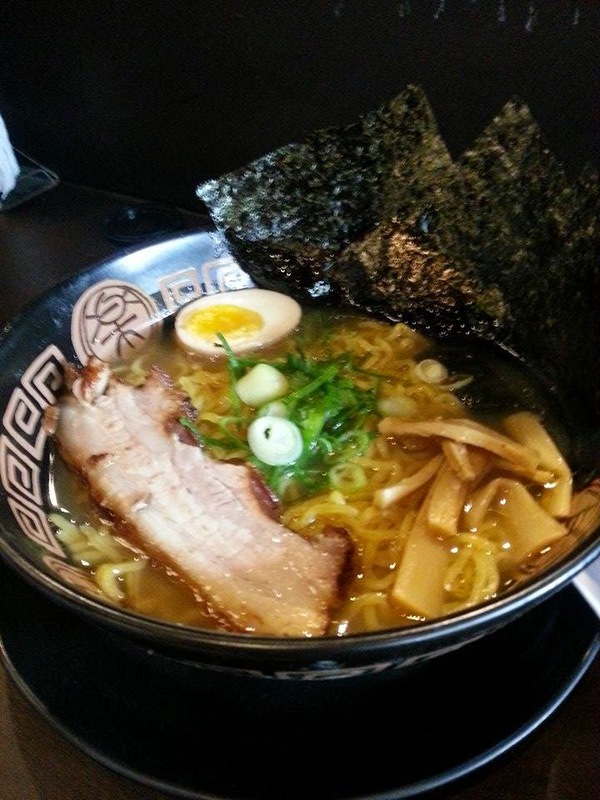 We could not live without Ramen.” Chef Yoshi believes that one’s ultimate goal in life is to be happy. Thus, he ensures that everyone involved in the preparation of all the dishes at Ramen Sora put their heart and soul in it to satisfy customers and to make them happy. Ramen Sora takes no shortcuts. The restaurant uses traditional methods of preparing the ramen. The ramen goes through an aging process. The Miso base goes with only the best and the freshest ingredients. Most of the ingredients are flown in from Japan to ensure authenticity. Chef Yosi along with his team of Filipino chefs and partners from Prime Pacific Grill, Inc. (PPGI), guarantee that they will transport Pinoys to Sapporo to enjoy the best ramen they will ever taste from Ramen Sora. Gerry’s Grill, Kusina ng Gerry’s, Aresi (Italian American restaurant) and Sweet Chili (Thai Restaurant) are also under the umbrella of PPGI. The Subic Freeport Zone gets a fresh infusion of new flavors...with authentic Sapporo-style ramen. With the popularity of ramen continuing to rise, are we ready for yet another ramen chain? I think we are, and Gerry Apolinario thinks so too. Gerry Apolinario and Pacific Prime Grill Inc. (PPGI), the same group behind Gerry's Grill, Aresi, Kusina ng Gerry's, and Sweet Chili, injects new flavors at the Subic Freeport Zone with the opening of Ramen Sora, one of Sapporo's leading ramen chains. With branches in Japan, Australia and Las Vegas, Ramen Sora expands its global presence with its first branch in the country, located right beside Court Meridian Hotel & Suites along Waterfront Road. Ramen Sora's Tomiyo Takada, Yoshi Ishisen, Norio Suzuki, and Gerry Apolinario chat with guests during the soft opening, describing their journey leading to the opening of Ramen Sora's first branch here at the Subic Freeport Zone. Each dish at Ramen Sora is prepared using traditional methods with the best and freshest ingredients, and Yoshi Ishisen adds that they put their "heart and soul" into each dish. In fact, Yoshi Ishisen guarantees their ramen will transport you to Sapporo with each sip of their authentic ramen. ...like the Seared Premium Pork Chashu, fork-tender slabs of pork, the same pork used to top your ramen, pan-seared with a light sweet glaze. Gerry Apolinario plans to open a second branch in Cebu by early next year, along with a possible third branch in Manila shortly. The coming new year will definitely kick up with increased intensity in the local ramen wars, and Ramen Sora is definitely a contender. The infusion of fresh and new flavors at the Subic Freeport Zone complements the current offerings of PPGI's other restaurant concepts. Right beside Ramen Sora is Aresi, with its extensive wine selection and traditional brick oven. Why not give Aresi's brick oven a spin and go for one of their signature pizzas? The Aresi Special, topped with chorizo, pepperoni, bacon, home-made Italian sausage, ground beef, mushrooms, and fresh basil on a rustic crust. All the essential proteins you want in a pizza, fresh from the brick oven. For dessert, go for Aresi's classic Chocolate Lava Cake, rich and moist cake filled with molten chocolate and served with vanilla ice cream. If you find yourself near Subic's Harbor Point Mall, you can check out another of PPGI's concepts, Kusina ng Gerry's, offering classic Filipino cuisine in a fast casual dining setting with affordable price points. ...and wait for the sunset. And it's another perfect day at Subic Freeport Zone. Ramen Sora, Aresi and Gerry's Grill are located along Waterfront Road, beside Court Meridian Hotel & Suites, Central Business District, Subic Freeport Zone. Solo Expeditions is now on Facebook, check out the FB Page for regular updates on good eats. Better yet, click "Like" and enjoy the ride...just look for the FB "Like" widget on the right sidebar. My comfort food consists of hot steaming bowl of mami, congee and then ramen. When ramen becomes a rage in Manila last year. I checked out the first ramen house that was available together with a friend. I first ate out at Fukkouka Makati and the rest was history. At first glance, ramen has a resemblance to mami but the difference lies in the soup and ingredients. It is mostly creamy based on the soup. Ramen (????) is a noodle soup dish that was originally imported from China and has become one of the most popular dishes in Japan in decades. Ramen restaurants, or ramen-ya, can be found in virtually every corner in Japan and produce countless regional variations of this common noodle dish. Ramen is the most affordable dish in China and or Hongkong, but here in Manila, you have to scowl php400 for a decent bowl. I have been to 5 Ramen restos in Manila and I should say, Im still exploring other ramen houses as well, as I am a fan of legit spicy ramen, the spicier the better. 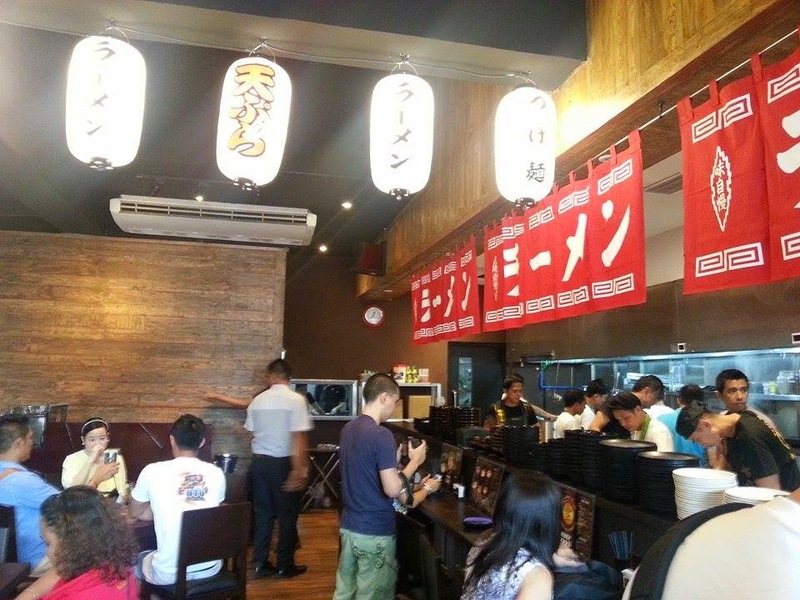 Last December 20, 2014 I was invited to check out the new ramen restaurant Ramen Sora at Waterfront Avenue in Subic. Gerry Apolinario of the famous Gerrys chain of restaurants decided to bring Ramen Sora here in the Phils from Las Vegas, USA. upon seeing that Ramen Sora holds a new promise in the food business, The men behind the Ramen Sora Nori, Yoshi and Tommy were excited for the first store in Subic and claimed that they are on the process of putting up their second branch in Cebu. When I checked their menu, the ramen that intrigued me is the one with corn and butter, so I ordered for that with the shoyu (soy) soup as base as I am not a fan of the salt. The taste was fine with tomago and chasu. I feasted on their noodles. They were on their dry run that day, its okay to spice it up a little bit, if you prefer it with chilis. Noodles are freshly delicious, its not soft or hard, its the way I like it cooked. 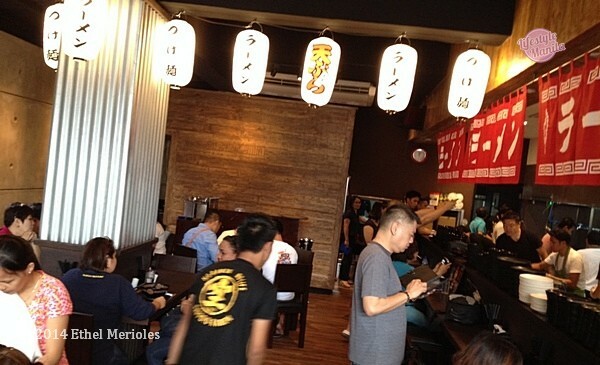 The interior has a homely feel to it as if youre eating in Japan with the legit ramen. Born in Hokkaido Sapporo in 2003. Ramen Sora Subic is only the second branch overseas after Las Vegas, Nevada USA., which has a 5-star rating at travel website tripadvisory.,com Considered Japan's culinary center, Sapporo is often the go-to district for those who want to indulge in the best of Japanese food like Ramen Sora. Chef Yoshi Ishise, the man behind the restaurant's best tasting ramen, explains: "Ramen is one of Japan's staple dishes just like the rice to filipinos. We could not live without ramen. At Ramen Sora we put our heart and soul into preparing dishes because we want to make our customers happy. Isnt happiness life's ultimate goal?" Chef Yoshi along with his team of Filipino chefs and partners from Prime Pacific Grill, Inc (PPGI) guarantee that they will transport Pinoys to Sapporo to enjoy the best ramen they will ever taste from Ramen Sora. PPGI is also the operator of Filipino favorite Gerry's Grill, Kusina ng Gerry's, Aresi (Italian American restaurant) and Sweet Chili (Thai restaurant). If you happen to drop by at Waterfront Subic, dont forget to check out Ramen Sora, Aresi and Gerrys as well. Then tell me what is your favorite ramen flavor. Ramen Sora can definitely take you to ramen heaven, now with its second overseas branch finally in the Philippines! Thanks to Gerry Apolinario of the Gerry's Grill fame, Filipinos can now taste authentic, delicious ramen at an affordable price! Chef Yoshi helping out another chef in the busy kitchen. Giving more value for your peso, Ramen Sora prides itself for serving ramen that tastes better and costs cheaper than the other restaurants in the market. Ever ingredient used in the ramen bowl is shipped straight from Japan, with the noodles having been aged for 4 days both for texture and flavor prior to shipment. Result? Thicker and chewier noodles that retain flavor and texture much longer. Chicken Karaage with House Special Negi Sauce Just a serving of Chicken Karaage costs Php245, but a Chicken Karaage with House Special Negi Sauce can set you back Php265. 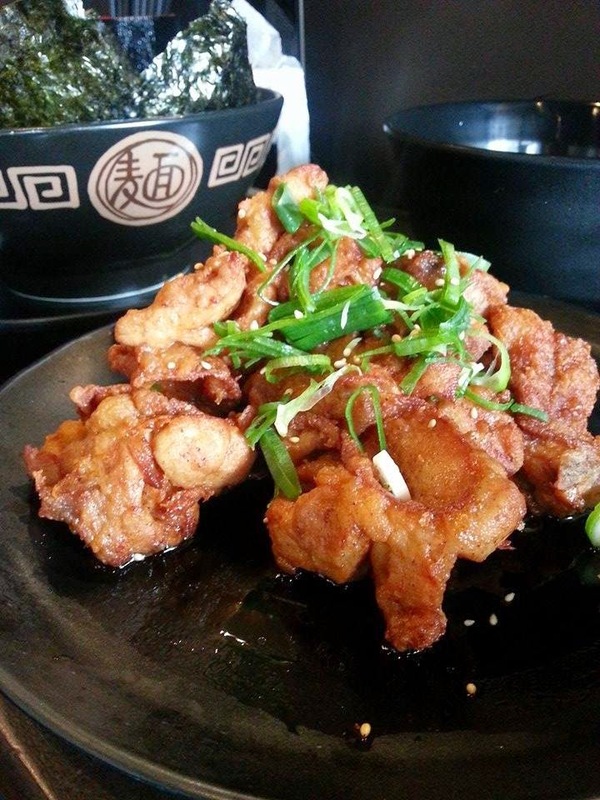 Nicely fried, lightly coated boneless chicken pieces topped with sliced green onions and surrounded by a tangy green onion sauce. The sauce is a bit too salty for me, but if it weren’t it would have been perfect! Chicken Karaage is highly recommended. I’ll be honest– I’m not much of a ramen fan. In fact I prefer our very own La Paz Batchoy! Hola! Depending on the soup base you want for your ramen, you can get a regular bowl of Corn Butter Ramen (pictured above) for Php295 (Shio or Shoyu base) or Php335 (Miso). Same goes with the Menma (bamboo shoot) Ramen and Nori (seaweed) Ramen bowls. Shoyu based ramen is slightly less salty, so I recommend you guys try a shoyu (soy) based ramen bowl out! 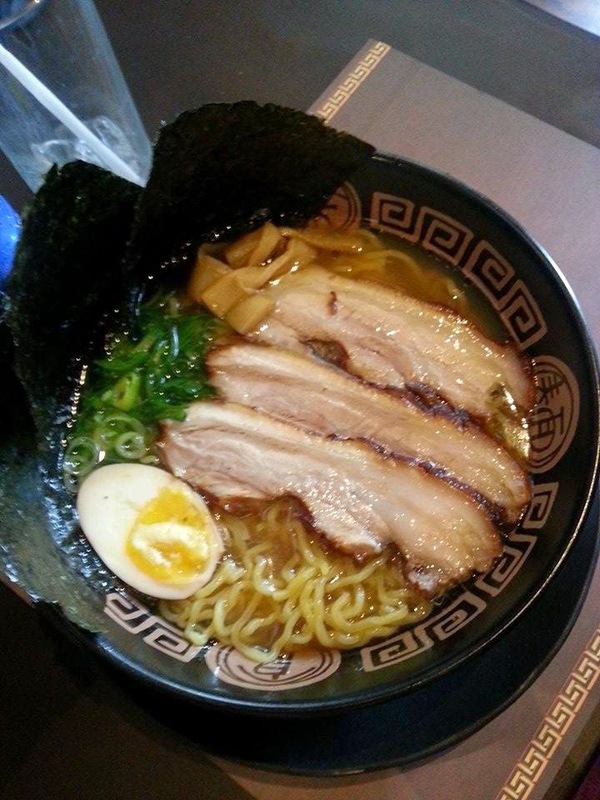 A true ramen experience is nothing without some chashu (pork belly)! At Ramen Sora Subic, you get to order your own filling Seared Premium Pork Chashu for Php205. Out to try other stuff? 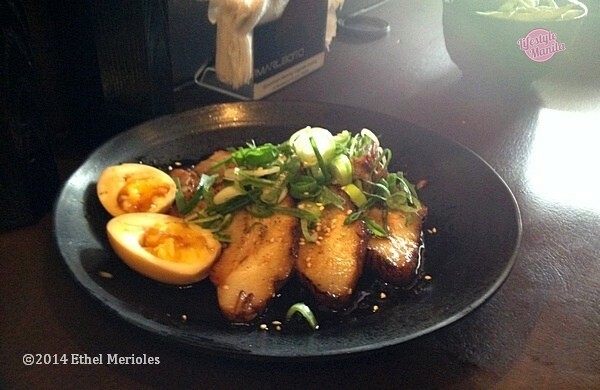 Then order the Otsumami Platter (combination Seared Chashu, Menma and Flavored Egg) for Php135. Prior to serving, tender slabs of pork belly are braised in soy sauce, sake and sugar at low temperature, and then sliced and seared with a propane torch to add that distinctly smoky charred flavor. Highly recommended! Ramen Sora’s house specialty is a must try! The Miso Ramen (pictured above with corn tempura behind) in a regular bowl costs Php325 and highly recommended by the chefs, but of course diners are always free to try the salt based (shio) and soy based (shoyu) varieties. Both regular, soy and salt based ramen bowls cost Php285. But in the above picture my favorite remains the Corn Tempura (Php225). Delightfully sweet and crunchy, the corn tempura makes me want to finish it all in one bite. 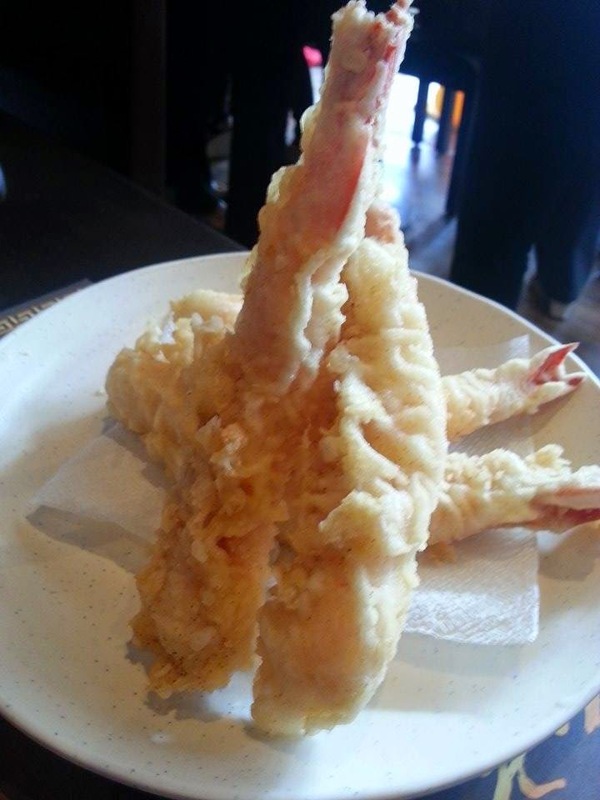 The Shrimp Tempura is amazing too, but rather pricey at Php375 for 4 pieces. Worth the price, though, since each piece is ginormous (sorry no pic). 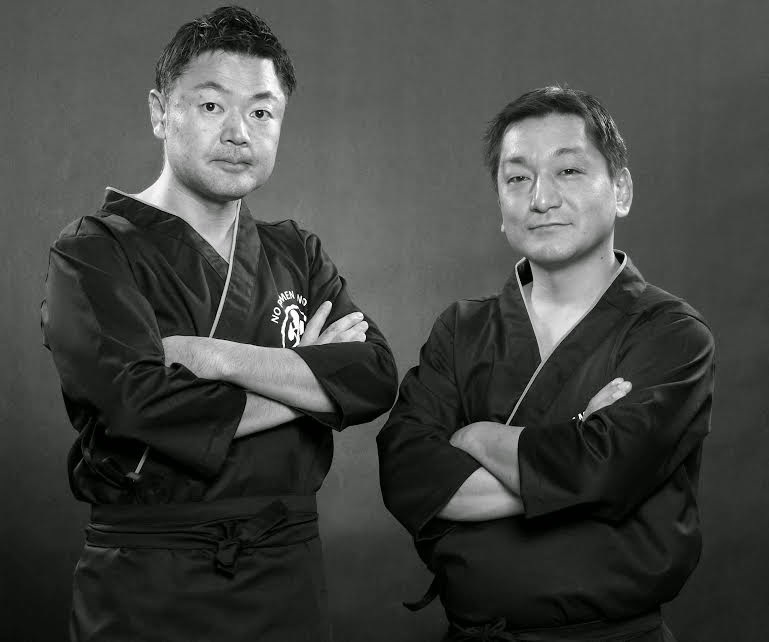 Putting the men in ramen, Tomio Takeda and Yoshi Ishise are the guys behind Ramen Sora. If you feel like the regular bowl lacks toppings, then get a deluxe upgrade for Php80, where you can get additional nori, menma and two more pork chashu slices. A size upgrade will set you back additional Php120, but then you will have 50% more quantity. Want spicy flavor? Cough up Php40 more. Individual extra toppings such as negi (green onion), nori (6 pcs seaweed), tamago (soft boiled egg), menma (bamboo shoots), corn, butter and moyashi (bean sprouts) are available at extra charge. To complete your dining experience, Japanese beer Kirin and Asahi are available as well as most Coke products. MANILA, Philippines - Restaurant operator Prime Pacific Grill Inc. (PPGI) is expanding its portfolio with the opening of two new Japanese food concepts, Ramen Sora and Yakitori Binchotan. In a statement, PPGl said the two new restaurants will be operated through its partnership with the owner-operators of Ramen Sora and Tokotaro in Japan and the US. Ramen Sora was established in 2003 in Sapporo, considered the culinary capital of Japan. The first Ramen Sora outlet will be located along Waterfront Road in Subic and will open next week. 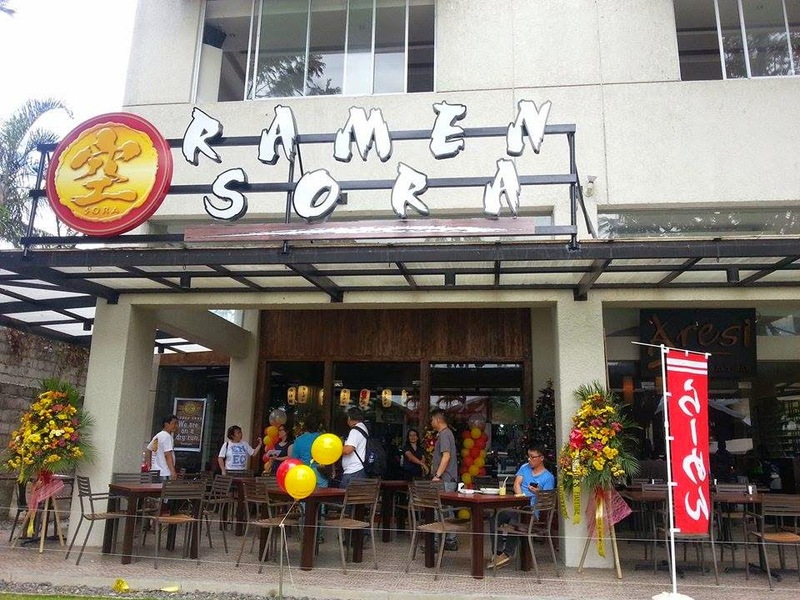 After Subic, PPGI is planning to put up Ramen Sora outlets in Cebu, Makati, Alabang and Quezon City. “The Philippines is only the second branch of Ramen Sora overseas and our first partnership with a foreign company. We are confident that PPGI can deliver the same kind of quality dishes which our loyal customers in Japan and the US enjoy,” Ramen Sora owner-operator Yoshi Ishise said.The maiden branch of Yakitori, meanwhile, will be located in A.S. Fortuna in Cebu and start operations in January. The second branch which will be located in Balibago, Pampanga is slated to open in April. Yakitori Binchotan uses a special kind of charcoal called Bincho-Ta to prepare yakitori or skewered food. “That kind of charcoal is only found in Japan. It’s white charcoal which produces high heat and does not emit smoke, so it allows the full flavor of the food to come out,” PPGI president and chief executive officer Gerry Apolinario said. The two new brand concepts are being brought here to provide Filipino consumers more choices. “There is so much out there which Filipinos need to enjoy and experience. We are bringing the best of ramen and the best of yakitori. Everything will be authentic,” Apolinario said. Founded in 1997, PPGI operates other restaurants such as Gerry’s Grill, which serves Filipino cuisine, and Sweet Chili which has Thai food.